I would have been more hesitant to jump on board if Callie’s eating habits had been better historically. Callie is a picky eater. When our normal pet store recently ran out of her normal dry food, I picked up a bag from an admittedly cheaper competitor, thinking that it would work as a interim solution. Three days later, Callie still hadn’t eaten any of her food and we were forced to throw out the entirety of the bag and seek something else. She also managed to go for three days without eating on our Mono Creek backpacking trip a few years ago, despite having access to her normal food multiple times a day and hiking many miles. So, I didn’t exactly feel like I was throwing Callie off by letting her try out some of Merrick’s new Backcountry offerings. So far, she has been sampling from the two bags of dry food we received, since that lines up with her normal diet and is the the only viable option for backpacking trips. Her reception to the food has been very positive. While the bags are different flavors, they share the same qualities. They are grain free, high protein food with deboned meat as the top ingredient. The unique twist on the product comes via its combination of kibble and freeze dried pieces of meat. 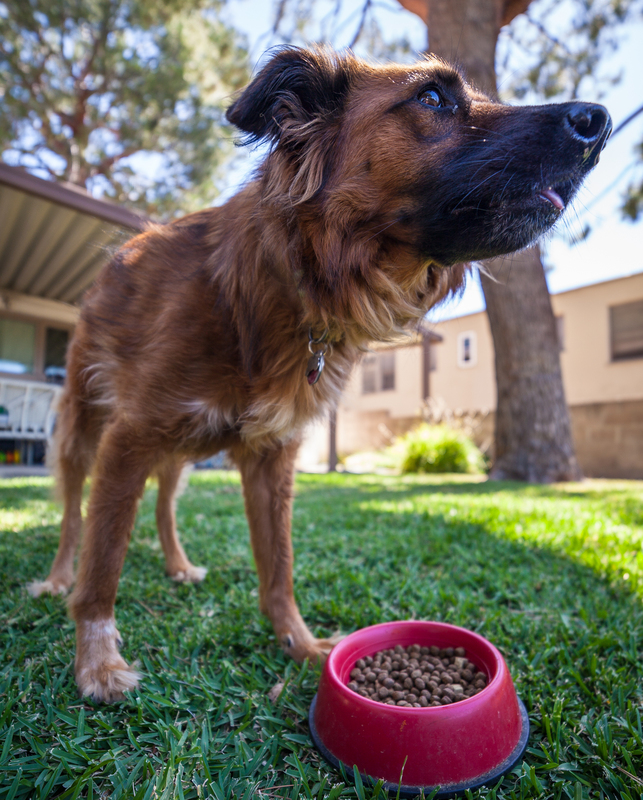 Raw food diets for dogs have grown in popularity in recent years, and proponents of the trend proclaim that the diet more closely resembles what dogs traditionally ate before the modern dog food industry stepped in. I am far from an expert on the subject, and I don’t intend to take any stance on the issue. What I do know is that Callie treats the raw pieces of food like a five year old treats Lucky Charms. She carefully eats all of them first, all the while making sure that none of our pesky house cats are swooping in for any dropped pieces. Once she has finished, she moves on to the kibble the same way that a child induced with a sugar rush might be enticed into eating the more plain staple of the Lucky Charms cereal. I guess that means it is a hit, and it settles Callie’s side on the raw food debate. We will be doing one more round of testing soon in the high Sierra backcountry to see whether Callie still enjoys the food where it matters most. Editor’s Note: This post is brought to you in partnership with Merrick, and Callie and I are happy to endorse it too. My picky backcountry pup may have to give Merrick a try! My lab Hunter is on Merrick Duck and Sweet. Potato. On of a very few companies that is made of ingredients from US. Others get away by saying made in US but the product comes from anywhere and usually China.